Zwelethu Radebe’s harrowing tale is set near the end of Apartheid and has won multitude prestigious awards. The film stars Thato Dhladhla (Thina Sobabili: The Two of Us) and was written and directed by Zwelethu Radebe. This important drama recently screened at the Oscar-qualifying film festival HollyShorts in Los Angeles and it won Best Foreign Film at LA Shorts International Film Festival. In the height of Apartheid South Africa, when the truth of Khetha’s father’s disappearance is brought to the surface on the eve of his execution. Khetha a prison warder in the Gallows Pretoria must either choose forgiveness or live forever with regret of failing to accept the truth. Right after graduating Zwelethu Radebe won a Student Silver Award at the prestigious South African Loeries. 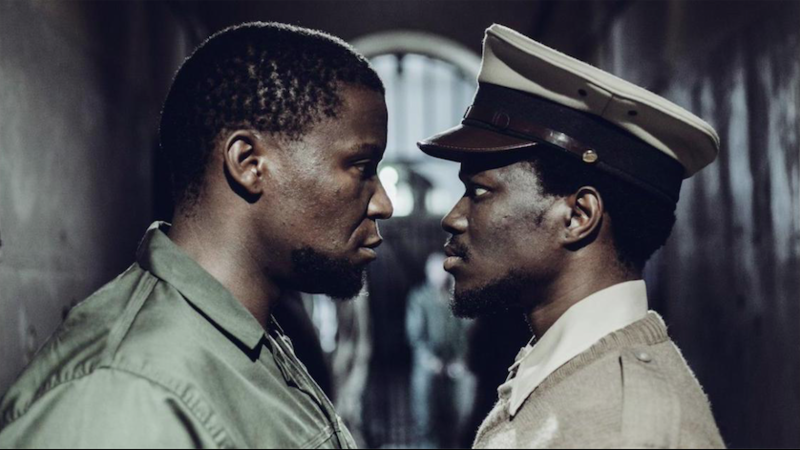 His latest work The Hangman garnered the Best South African Short Film award at 38th Durban International Film Festival and many more awards across the world. South African actor Thato Dhladhla who is known for this work in the South African film Thina Sobabili: The Two Of Us and shows like Isithembiso: The Promise and Isidingo: The Need. The film co-stars Khulu Skenjana who was part of Zulu alongside Orlando Bloom and Forrest Whitaker, and Invictus directed by Clint Eastwood. The EMMY nominated actress Lerato Mvelase is known for her moving performance in Life, Above All by Oliver Schmitz that screened at Cannes Film Festival and the film introduces Mxolisi Matlabe. Just some of the wins include Best in Fest, Best International Drama, and Best Cinematography at the Discover Film Festival, as well as the Silver Main Jury Award and Best Young Jury Award at the Best of International Short Films Festival. The Hangman was also in competition at Toronto Black International Film Festival, New York Africa Film Festival, LA Shorts International Film Festival and many more.